There are many ways to handle permissions in a project. For instance we may have model level permissions, object level permissions, fine grained user permission or role based. Either way we don't need to be writing any of those from scratch, Django ecosystem has a vast amount of permission handling apps that will help us with the task. In this post we will compare how some popular permission apps work so you know which one suits your project needs. If you want to explore a little more, Django Packages has a full grid on permissions, you should take a look. As we would expect, Django has a native permission system that works very well in many situations and it's great if final users are making intense use of the Django admin interface. It is a model level permission system that can be applied to either single users or a group. If you have django.contrib.auth in your INSTALLED_APPS django will automatically create add, changeand delete permission types to every model in your system (or any one you add later). Giving or revoking this permissions to users will limit the actions they can take when they log in to the admin. Instead of managing user by user, you can also create a group, add users to it and manage the permissions for the whole group. But this is not limited to the admin. You can verify user permissions in your own views using the has_perm method provided in the user model. This content will be shown users with can_do_something permission. This content will be shown to all users. Check the official documentation for more information on how to create new permissions, programmatically managing user permissions and working with groups. It also has some very useful methods like get_perms and get_objects_for_user, decorators for your views and template tags. Django role permissions uses a more high level approach to manage access to views and objects. Instead of saying individually which user has access to which object, we will be defining roles with a default set of permissions defined. Once we give a role to a user we will be able to make verifications about his permissions and also about his role. Update: Django role permissions now supports assigning multiple roles per user. Rules also provides decorators and mixins for your views and template tags. Another cool thing is that it can be used without Django. I hope you got a quick glance over some of the Django permission apps available and is now able to choose the one that best suits your application. If you know some other interesting apps with different approach we'd love to hear about them in the comments! 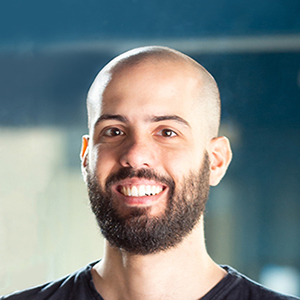 Bike enthusiast, software developer and former director at Python Brasil Association. Likes open source and how people interact in open source communities.